Learn how to better communicate in French with your little one and embark together on an amazing language journey. Our workshops encourage learning through songs and playtime. Both caregivers and infants will be immersed in a French learning environment and will be exposed to a new theme each session. 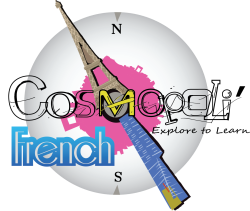 This class offers a great opportunity to bond through the love of French language. This class is suitable for caregivers with an intermediate level of French and for infants aged between 6 months and 2 years.